It’s well in the midst of autum here in Northern California, and you know what that means- APPLES. And tons of them! Our supermarkets are overflowing with about 100 different kinds of apples, and a weekend or so ago I went apple-picking with some friends, where I was also able to purchase apple butter, apple juice, apple cider, apple truffles, apple jam, and apple dumplings, to name just a few of the seasonal items they had for sale. All of these apples makes one ponder what to do with them. Last year at about this time I made Winry’s famous apple pie, but this year I wanted to go for something a little simpler and a little more ubiquitous- rabbit apple slices, or usagi ringo. These cute little snacks show up EVERYWHERE in anime, which is why I classed it as part of my “Every Anime Ever” series. 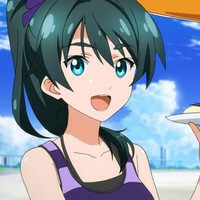 For example, amidst the shows Crunchyroll has, they show up in Vividred Operation as well as Yuru Yuri. Thiese shows are basically cute girls doing cute things, which is exactly how these apple slices get made. 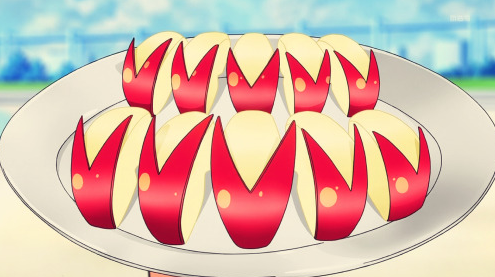 I also thought these snacks made an appearance in Erased, but when I went back to check it appears they were just regular old boring sliced apples. 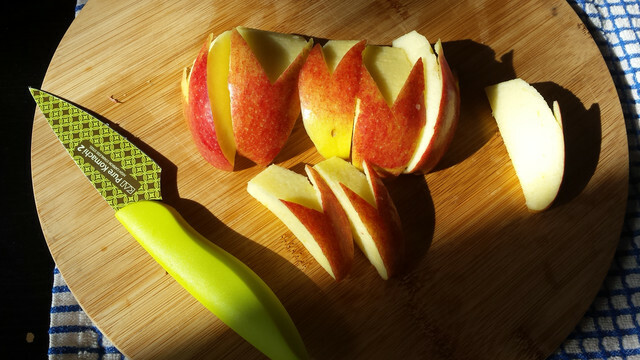 These rabbit-ear apple slices are mostly a snack made for little kids, but you really can enjoy them at any age. My roommate’s mom used to make these for her when she was little, and she’s been really stressed out with midterms lately so I deicded to make these for her as a study snack, which she ate with gusto. 4) Make two cuts into the apple skin that form a V, meeting in a point in the middle of the apple slice. Don’t cut all the way through the apple, though! 5) Peel off the skin between the cuts, ending at the point of the V in the middle of the apple.